I'm closing in on the big day - Marathon #4 - Maine Coast Marathon. 9 MORE WEEKS! Saturday was my first 18 miler. 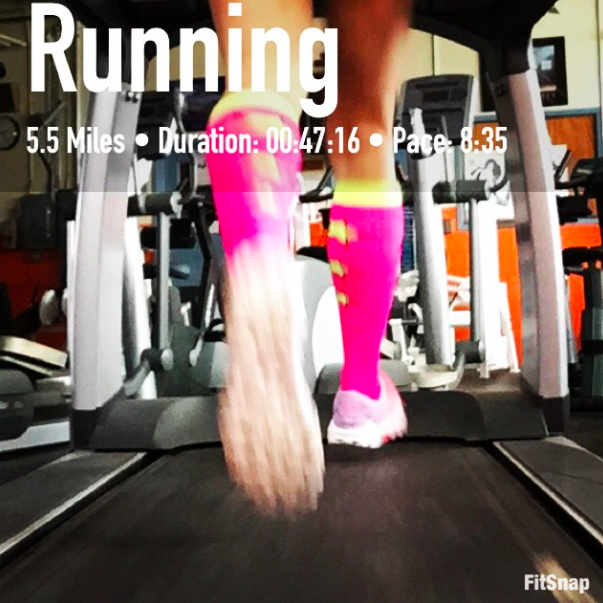 It was a solo long run as my training BRF had to work. Then I came to find out the husband was leaving for a 24 hour skiing - fundraiser event; which closed my window for running to "be done by 10am". I looked at the hourly forecast on my phone and when I saw 1F at 7AM, I knew that my 18 miler was going to be at KVHC on the treadmill. 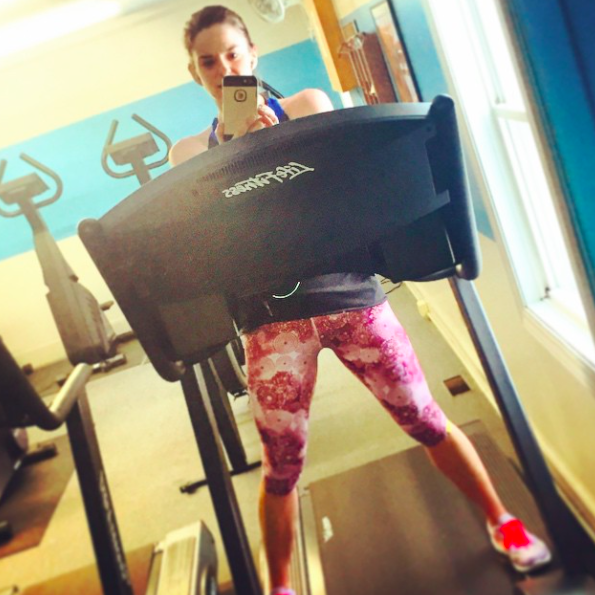 Over the last few years, I have come to really appreciate the comforts of doing long runs on the treadmill. 1. I can wear shorts and a tank and sweat when it's 1F outside. 2. I have two cup holder areas to put all of my training essentials - Honey Stinger, Nuun, Water, gum, inhaler, and epi-pen (and don't have to carry it!!!). 3. I can watch movies on my phone while running. 4. 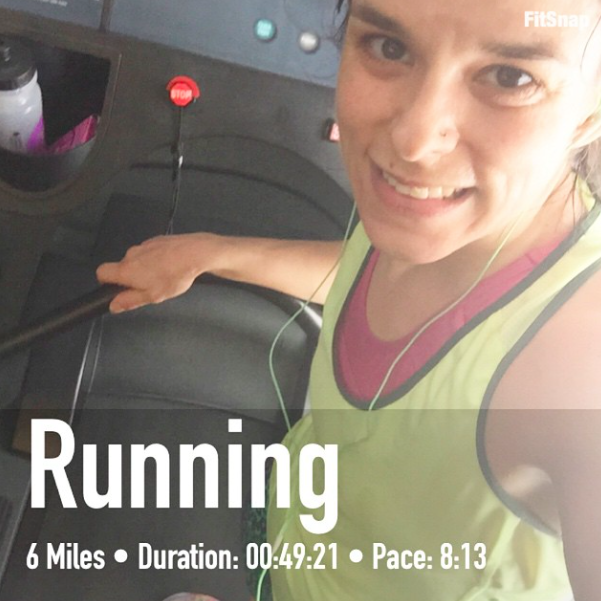 I can take advantage of the treadmill and really push the pace on long runs and give myself that much needed challenge/confidence booster. 5. When a potty break is necessary - I just stop, run downstairs and use the indoor facilities. No leaves, hiding behind bushes or porta-potties! Yesterday's 18 miler was all of that. And it rocked. It seriously did. 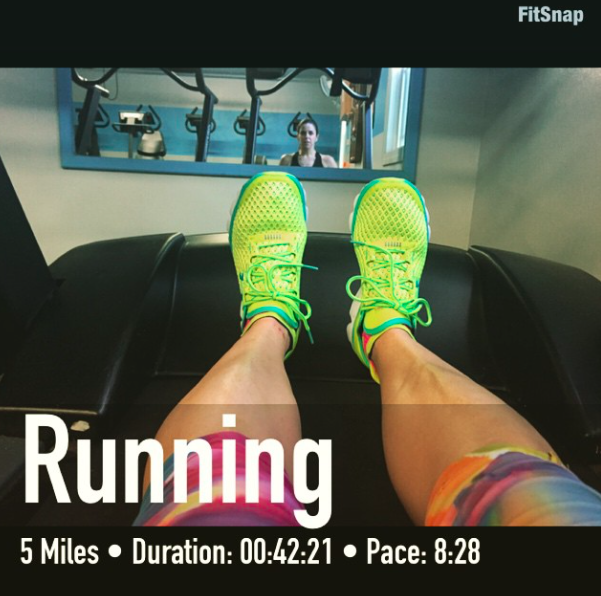 I even pushed myself for the last 3 miles and ran sub 8 min/miles. That is huge for me! But with any long run, my legs and feet were tired. Heck, I was tired. As soon as I rehydrated and refueled, I treated my feet to something super nice. It's a product called The Runners Choice and is advertised as a foot massage in a bottle. And THAT it is. 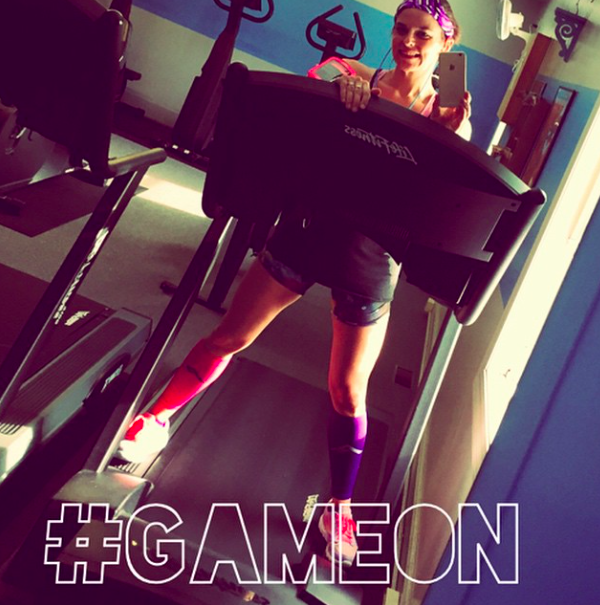 All you do is apply The Runner's Choice to your feet, wash your hands, and sit back and relax. Maybe put your socks on. Then sit back and relax. No rubbing necessary. It's that simple. 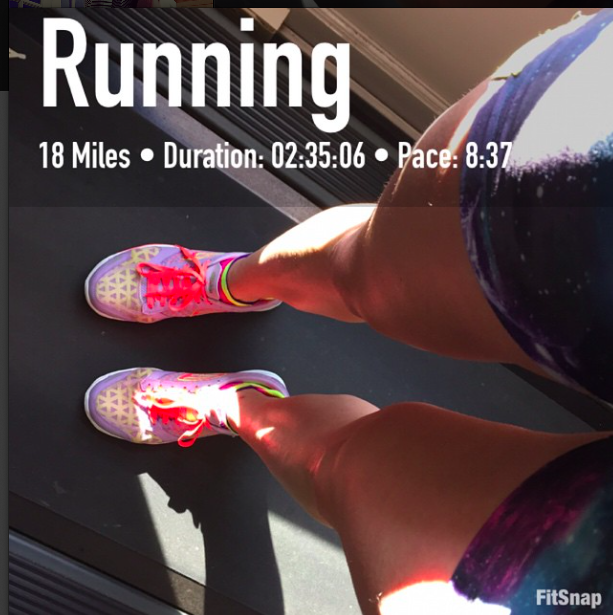 With all of the mileage I've put on my feet lately, I want to keep my feet happy. The Runner's Choice has definitely helped me here! The ingredients are simply as well - almond, eucalyptus, eucalyptus, wintergreen, peppermint, and spearmint oil. The smell is amazing and soothing as well. If you are interested, the manufacture is willing to offer my readers one FREE bottle with the agreement to pay a minimal shipping and handling charge. (This is a one-time offer). Click on this link. 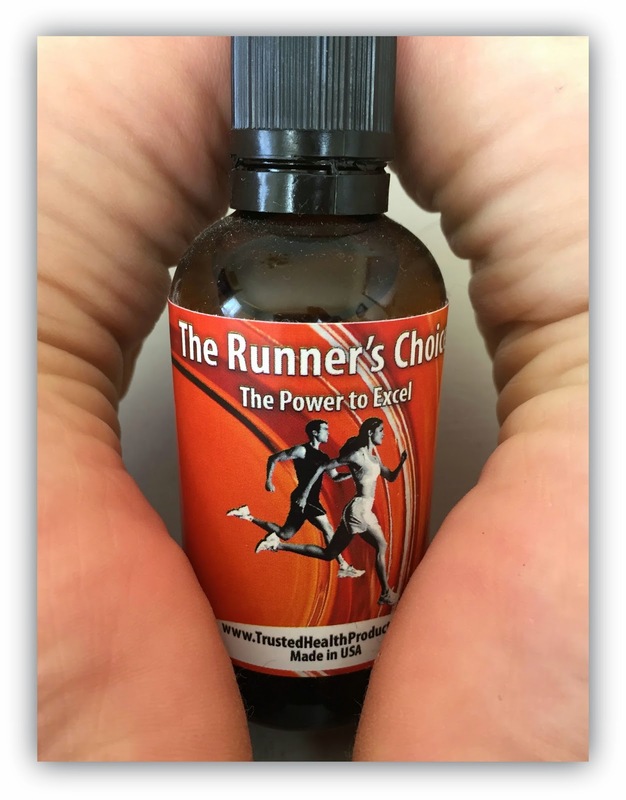 In addition to the incredible special offer, the fine folks at Trusted Health Products have offered 3 lucky Running With The Girls readers a bottle of The Runner's Choice. Disclaimer: I was sent a bottle of The Runner's Choice for the purpose of a review. I was not compensated. I was not required to provide a positive review. As always, all opinions expressed on my blog are 100% my own.